The ferry ‘Volcán de Tijarafe’, operated by Armas shipping company, was presented in Gandia today. From last Sunday it commenced a daily connection all year with Ibiza and Palma. The event was attended by the mayor of the municipality, Diana Morant, and the Vice President of Armas-Trasmediterránea, Antonio Armas, who announced the intention of adding a high-speed boat to the ‘Volcan de Tijarafe’ in summer. Trasmediterránea presented the ferry ‘Volcán de Tijarafe’ operated by Naviera Armas, in Gandia today. 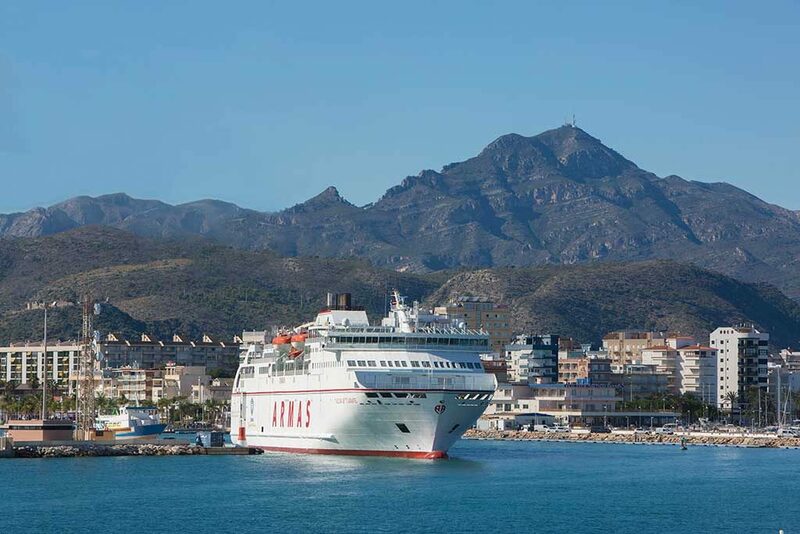 The passenger and cargo transport ship consolidates the Ibiza to Gandia route that commenced with a summer tourist schedule in 2016. 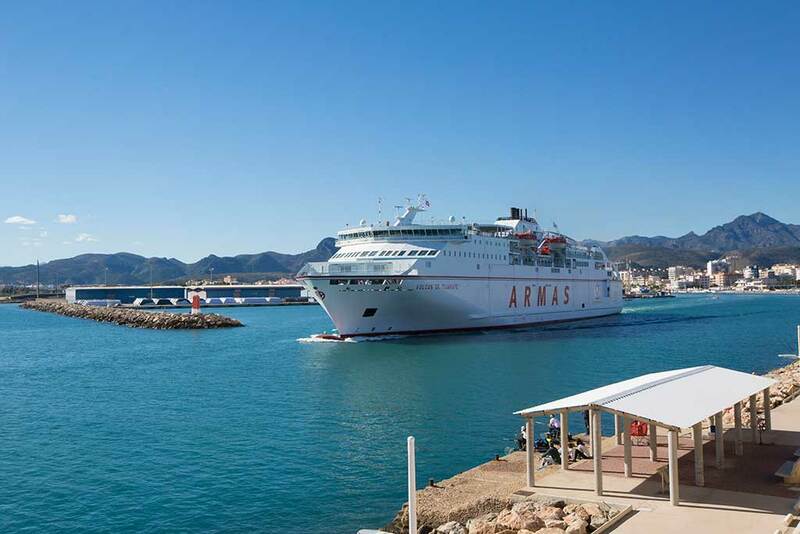 The new extended service will connect the mainland port of Gandia with Ibiza and Palma all year. During the ceremony Antonio Armas, vice president of Arms-Trasmediterránea, announced the addition of a high speed boat in the summer months. The line that has just been launched will be an important boost for the city and the Grau de Gandia. It will generate an economic impact ranging between 12 and 15 million euros per year depending on the use of freight, said the mayor of Gandia, Diana Morant. The vessel ‘Volcán de Tijarafe’ has capacity for 1,000 passengers, 300 cars and 1,500 linear meters of ro-ro cargo. It maintains a speed of 24 knots. Monday to Friday, depart 11am, arrive 3pm. Saturday, depart 8am, arrive 12 noon. Sunday, depart 1pm arrive 5pm. No details provided for Sundays. 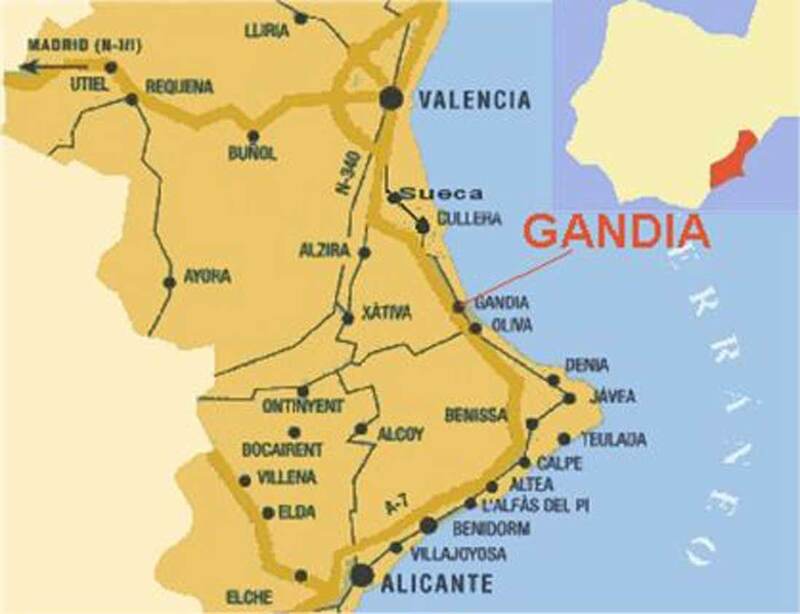 Though the name of Gandia may not be as familiar as its neighbour Valencia, it is a sizeable city with a population of over 200,000 and thriving commercial and tourism sectors. Known by its two main zones, Gandia city is home to its many historical monuments and business and shopping facilities. Gandia beach is the centre for tourism. One of the reasons for its less well-known name maybe that Gandia has always enjoyed a reputation for being a centre for domestic tourism with the majority of its visitors coming from Madrid. However, in recent years the area has started to attract a much wider source of visitors.